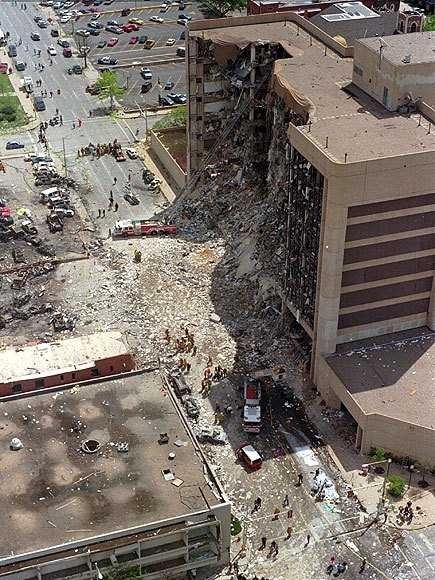 Reminder: This building in Oklahoma City was blown up and destroyed just 4 days before Hillary Clinton was to be indicted in the Whitewater scandal. All documents lost! | Poal: Say what you want. I've always thought the most suspicious thing about the whole OK thing was how quickly they executed McVeigh. Most people sit on death row for a decade plus ... he was in and out in a flash! Don’t forget Seth Rich too, and the dozens of people who committed suicide with two bullets on the back of their heads. Vince Foster ... the list goes on and on.